In order to foster a conversation about how beauty can illuminate the Word and how words can be made illuminating, Spring Arbor University will be hosting a Heritage Edition of the Saint John’s Bible during the 2015-2016 academic year. Inspired by the presence of this beautiful book, the Midwest Conference on Christianity and Literature invites presentations that explore the challenges and opportunities that beauty offers to our culture. Inspired by the presence of this beautiful book, the Midwest Conference on Christianity and Literature invites presentations that explore the challenges and opportunities that beauty offers to our culture. 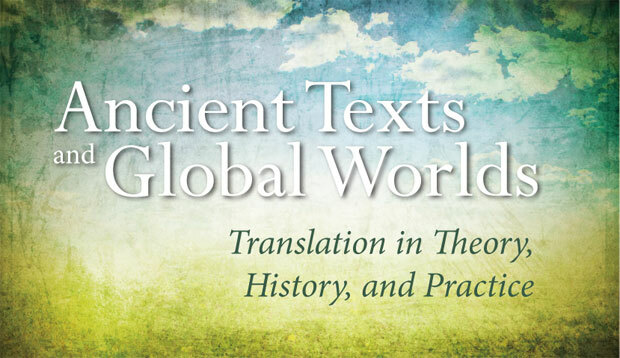 "Ancient Texts and Global Worlds: Translation in Theory, History, and Practice"
Papers may address specific authors or works as well as larger linguistic, historical, and theoretical questions.